Last week we posted a blog about what to look for when choosing what platform to use for your online stone. There are lots of options out there, but creating an online shop doesn’t have to be a headache. These are the things we believe are the most important things when choosing your eCommerce service. Each platform we reviewed is different, and specializes in different things. 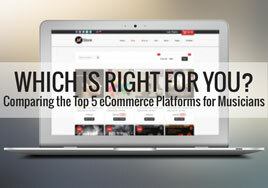 The key component in deciding which platform is right for you is deciding on what you need. Once you decide what you need, then you can look at what store meet your personal criteria best, based on the 5 characteristics mentioned above. 3dcart recognizes that not all of its customers are experienced web designers or are familiar with HTML coding. To meet the needs of those customers, it offers hundreds of templates (some free) and an editing tool called WYSIWYG, which allows HTML editing without knowledge of HTML coding. Of course, if you do know HTML coding, you can always customize a template using that; or, you can use on of their in-house designers to create your website. You are able to use custom domains. If you sign up for Bandcamp Pro, you are able to use custom domain names for your storefront. This platform does offer customizable storefront design. However, it doesn’t look like you can use your own domain name. There are three different routes you can take to design your eCommerce site. You can choose from over 100 professionally designed, customizable themes. Or, using Shopify’s Template Editor, a language called Liquid, and some HTML and CSS, you can create a shopping cart as unique as your sound. If you don’t have coding experience, Shopify offers web design services with their professional designers. Tying in to your website’s domain lets your fans seamlessly navigate to your online storefront. The number of items is limited based on the plan you choose. 3dcart makes processing and shipping orders simple. With features such as shipment tracking, automated confirmation emails, and drop-shipment support, you and your fans will know exactly when and where their packages are at. 3dcart also offers an optional “Wish List” and “Wait List” for those times when your fans what they simply cannot purchase (yet). Of course, if all they want is to listen to your music (and right away), then they can purchase your digital downloads. The number of free downloads per month is limited, but other merchandise does not appear to be. Bandcamp specializes in digital music distribution (and they do it so well). You can upload high-quality tracks and artwork, name your price for digital downloads, and even set up pre-orders and release dates. However, that doesn’t have to be the only thing sold through with this platform. Just upload your merchandise from the “add merch” tab on the header. Here you’ll name and describe the items, set the prices, choose shipping options, and upload photos. Digital downloads will be available to your fans as soon as a purchase via PayPal goes through (or as soon as the album/track is available). When is comes to shipping other merchandise, however, you will be responsible unless you use a fulfillment partner. Bandcamp lets you hire out your shipping needs to a third-party distributor (or your Aunt Jane) without having to grant them access to your whole store. Bandcamp also makes it easy to track and sort orders from the sales section of your tools page, where you can mark invoices as processing or shipped, search for orders, or filter by date or status. Bandcamp does offer foreign currencies for transactions. The number of items you can sell and the number of photos allowed for each item depends on your monthly package (there are four options to choose from), with a grand cap at 300 items; however, you can upgrade or downgrade packages as needed, which means that as your item selection grows, your store can, too. You can offer anything from t-shirts and CDs to digital downloads (via their sister site, Pulley). Set your price, currency, and tax preferences, then decide how you would like to process payments. You can choose PayPal or Stripe (which processes most other major credit cards). 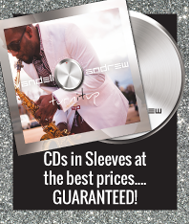 Best of all, your band will get to keep 100 percent of each sale’s proceeds! Even though Big Cartel helps you manage your sales and payments, stocking inventory and fulfilling orders will be up to you. Don’t leave your fans hanging! Use the “Orders” page to manage your merchandise orders by marking them as either shipped or unshipped, or manage orders through PayPal. Just remember to calculate the approximate cost of shipping from your admin page and add that cost into the price of the purchase. The Reverb Store is unique in the way it handles its inventory… or the lack thereof, rather. That’s because there’s no tangible product until someone orders it. You create the products online by selecting the items and design options, add them to your store at your desired price, and wait for someone to buy. When the order has been placed, the product will be made and then shipped. ReverbNation takes a flat fee out of the retail price of each item sold, sends a portion to Audiolife, and pays the difference (profit) to you. The amount of your profit is determined by the price you set. You can cash out via PayPal as soon as you have at least $20 in earnings (and after a 35-day hold period). Audiolife promises to fulfill all orders with more than 99 percent accuracy, and the time between order placement and shipment is generally four to six business days. You can rest assured that your fans will receive high-quality products quickly and accurately. Should there be a problem with an order, they will handle reverse logistics, too. Shopify promises safe, confidential transactions through third-party payment processors like PayPal or Google Wallet (which is standard for many eCommerce sites), but they also accept many other forms of payment such as CODs, money orders, or direct bank deposits. In terms of fulfillment, Shopify makes it easy to use fulfillment companies like Amazon Services to do the packaging, shipping, and tracking of orders for you. Shopify is also working on Partial Carrier Integration which will let you calculate the real-time shipping cost of various items, though this feature is still in beta mode. Shopify does offer foreign languages and currency options. 3dcart recognizes how important the right promotional tools are and offers marketing credits with every subscription. Every 3dcart plan comes with built-in SEO tools. 3dcart also allows you to create coupons and promotional discounts (which you can post on social networking sites) that will help increase traffic and boost sales. 3dcart offers the ability to track sales trends. This will give you the opportunity to monitor the interests and buying habits of your fans and adjust your marketing strategy accordingly. You can check basic statistics from your home screen, or you can upgrade your package to include Smart Stats. Bandcamp’s platform includes a wealth of statistics on your site’s visitors and customers, from who links to your site to which items are most popular to SEO data. The site also works to ensure that, when your fans search for you, your store is at the top of the results. The Pro version provides additional details. Not only does Bandcamp encourage you to share your storefront on your social media platforms, they allow you to add a music player to your profiles (for free) from which you can sell your music. You can also sell your music and merchandise directly from Facebook. Bandcamp also helps you build your email list. The amount of statistics available is based on your package. The most basic version simply shows which of your items is most popular, while their top package shows your top item, incoming links, search terms, and incorporates Google Analytics. 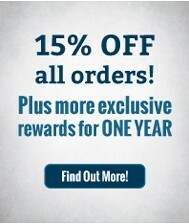 You are able to offer discount codes, and you are able to sell your products directly on your Facebook page. ReverbNation makes it easy to increase traffic by sending emails on product specials, adding the store’s app to your social media profile, embedding widgets in your website, and including banners on your blog. Other features on the website are available for fan management and communication, but they are separate from the ReverbStore. The site and its shopping cart offer SEO features, ensuring that your eCommerce site ranks well in search results. It also integrates Google Analytics, so you can learn about where your fans are coming from and what they’re looking for. Coupon codes, which encourage people to “buy now” lest they miss out on an amazing opportunity, can help draw new or lukewarm fans to your site. Advertising on Facebook (which Shopify gives you a credit for) can help reach those who might not know about you yet. Shopify also tracks customers, letting you use their information for email marketing. If the process of creating an eCommerce platform still overwhelms you, 3dcart offers live phone, email and chat support, training videos, tutorials, and a dedicated Guru Session, even during the free trial period. Bandcamp lets you set the pricing for your items. If you want to set that to zero or allow fans to name their own price (which can result in some surprising generosity), you can do so. You also have the option of offering high-quality music formats with no extra effort; Bandcamp will convert your WAV file to the client’s desired format. Also, Bandcamp sites are optimized for mobile viewing, which reduces frustration for those who shop on the go. If you’re at a gig or meet someone who wants to buy your merch right then, Big Cartel lets you place orders via an iPhone app. ReverbNation is one of the few on-demand retail platforms. Its partnership with Audiolife means that you don’t have to keep track of inventory or order fulfillment. Plus, if you already use ReverbNation for other purposes, you’re simply adding to an existing account instead of creating yet another account. They recognize that, even with an online storefront, you’re still running a merch table at your shows. To make handling in-person transactions a little easier on you, Shopify offers a free credit card reader and optional POS (point of sale) system. Also, if you want to go the extra mile in connecting with fans, Shopify offers a blogging platform. Shopify also offers an abandoned cart feature, where it automatically contacts potential shoppers who placed items in their cart and didn’t check out. Shopify makes it really easy to create a mobile store. You can also manage your store’s website through the Shopify Mobile app, which means that you can be in the loop even when you’re out of the office. 3dcart prices start as low as $19.95 per month, which allows you to offer up to 100 items and comes with $175 worth of advertising credits. Upgrading the package increases your store’s volume and marketing capacity and allows free domain registration, among other valuable features. If you’ve got cash up front, signing up for annual rates (as opposed to monthly) will save you some money. There is no fee to start on Bandcamp and no charge for listing items in your store. Bandcamp makes their money by pulling a percentage of your sales: ten percent for physical merchandise and fifteen percent for digital downloads. For only ten dollars per month, you can sign up for Bandcamp’s Pro service, which includes more detailed statics reports, batch upload options and private streaming capabilities. You can also offer up to 200 download credits (or free downloads of your music) or download codes (discount codes that you can email or Tweet to your fans) for free each month or purchase additional codes and credits for as little as 1.5 cents each. Big Cartel does not take a percentage of each sale (except to cover fees for PayPal). Its Gold package, which is free, lets you list up to five products with a single photo per product. For $10 per month, the Platinum package lets you list up to 25 items with three photos per item; or, upgrade to the Diamond package for $20 per month, listing up to 100 items with five photos each. Lastly, the Titanium package ($30 per month) will allow as many as 300 items with five photos each. 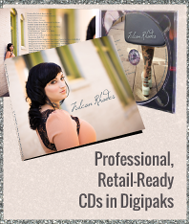 It’s completely free to start your store through ReverbNation. If you don’t make a sale, you don’t pay a dime. 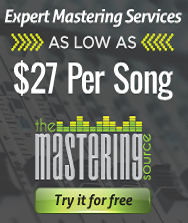 When you do make a sale, ReverbNation takes a flat fee for each item sold, not a percentage. Pricing starts as low as $29 each month, which will get you a storefront, access to customer profiles, and even your own blogging platform to help you connect to your fans. This basic package comes with up to one GB of storage space, but you can increase that along with other features by upgrading to more-advanced packages like their Pro package (for $79/month, which includes professional user reports and gift cards) or their Unlimited package (for $179/month, which features advanced statistics reports and unlimited file storage). What eCommerce platform are you using to sell merch online? Did we miss any major players? Let us know in the comments below!